After about a year of blog post drought, I'm finally back! I hope I can return to regular programming again and churn out weekly quality content from this day forward, just like the good 'ol days. I missed sharing with you my food finds and food trips with friends, family and ex-boyfie (now husband). But enough with the blabbering! Today's special as not only am I getting back my blogging groove, but I've also found something I really want to share with you all. It's been a while since I posted a Daily Quickie, but I just had to resurrect this category as this particular healthy food and party favorite is so addictive, it practically had me getting quick bites on the daily! Hummus is a well-known vegan Middle Eastern dip typically made from chickpeas (can also be made with other beans), tahini (made from sesame seeds), olive oil, lemon juice and garlic. I don't eat it quite often as my usual foodmates (what I call people I eat with) don't have a natural affinity for Middle Eastern cuisines. However, when I do have it, I'd have to share it with loads of people to the point that I feel like I didn't even have enough! The good news though, Steffi Santana is now offering her OG Hummus for sale! And in tubs enough for 5 to 6 servings! She has been making hummus for many years now, but has only recently decided to share this addicting dip with the world (okay, with people living in Metro Manila at least) with her new venture, Santana's. 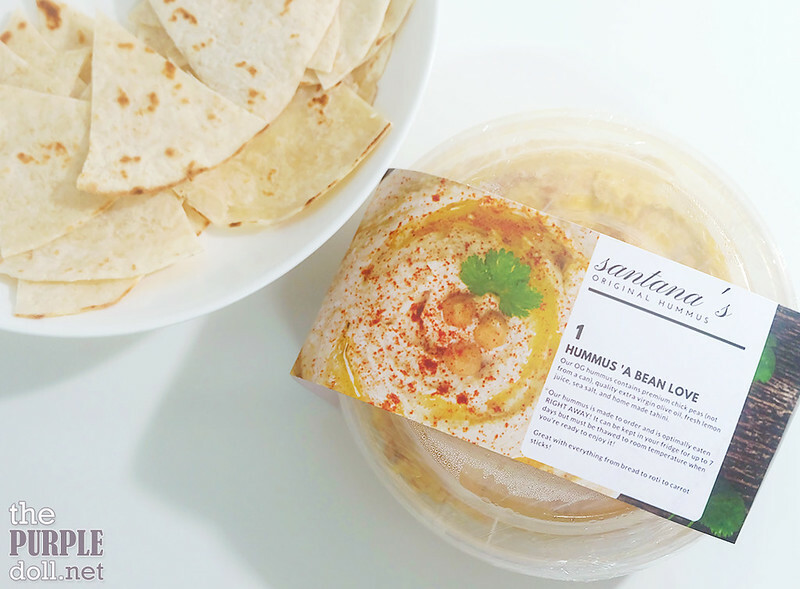 Each order of a tub of Santana's OG Hummus (P320) comes with 5 pieces of pita bread. 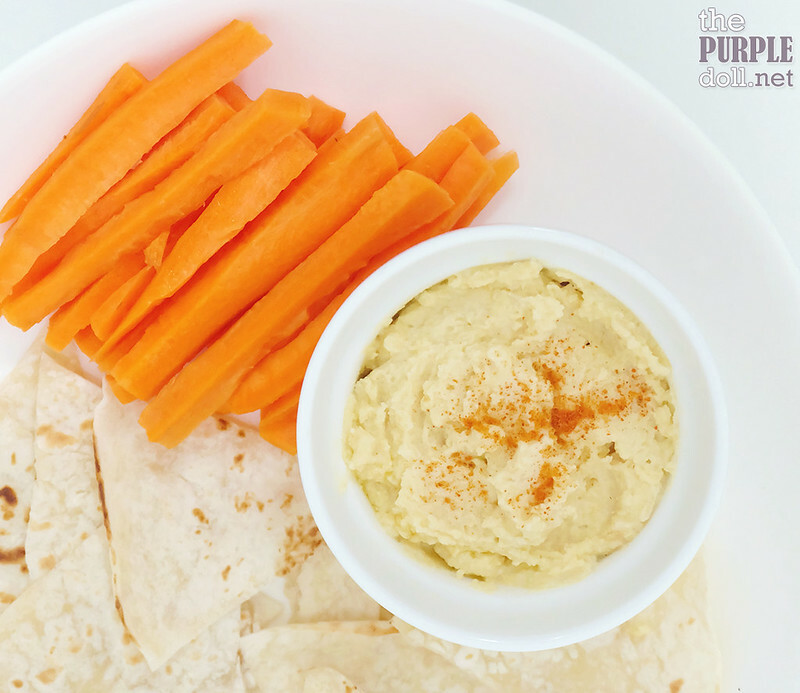 I love my pita bread, but hummus can also be enjoyed how ever you want. I've tried it on crackers, with carrot sticks, cucumber sticks and nachos. The husband on the other had, really likes spreading hummus on whole wheat bread. Hummus can even be stirred in soups -- tomato soup, cream-based soups, chicken soups, etc. I haven't tried this yet though, but I definitely will when I make a soup some time soon. I also feel like hummus would be really good in salads, and with grilled corn. Really, sky's the limit with how you can use hummus! I've always loved the earthy flavor of hummus, but Santana's really upped it for me with the savory garlic taste and very subtle zesty notes. It also has just the right amount of saltiness even when eaten on its own! The hubby who doesn't find hummus (at least those we've tried in restaurants) crave-worthy has been hooked with our tub of Santana's OG Hummus, so this says something! A tub of Santana's OG Hummus can last in the fridge for 7 days. 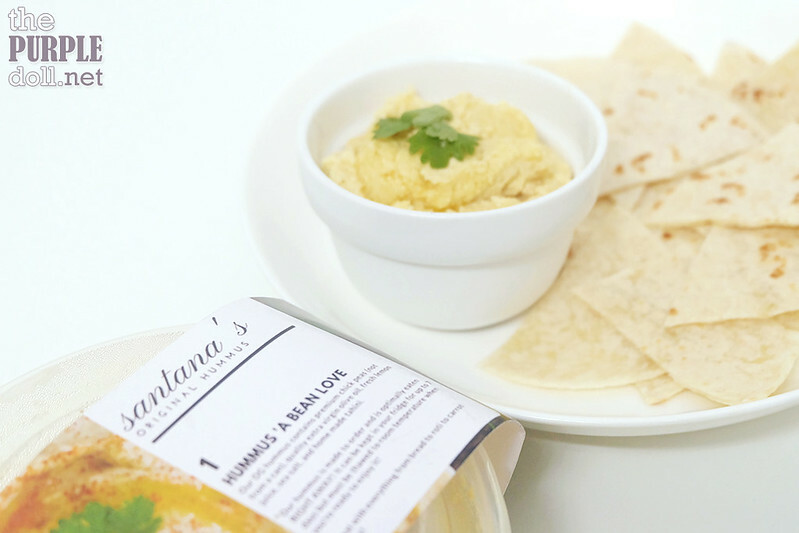 Like many good food and good things these days, Santana's OG Hummus is available for delivery by ordering online. I'm not so sure if pick-up option is available, but there's no harm in inquiring. (｡•̀ᴗ-)✧ You can get started by visiting Santana's on Facebook.